The Board of Directors of RecFish SA is committed to ensuring good corporate governance and enhancing the interests of all of the recreational fishers in SA, and our members. All directors agree to abide by the RecFish SA Directors Role and Responsibilities Protocol. The framework and principles of this document are guided by the Institute of Community Directors Australia Policy Bank. 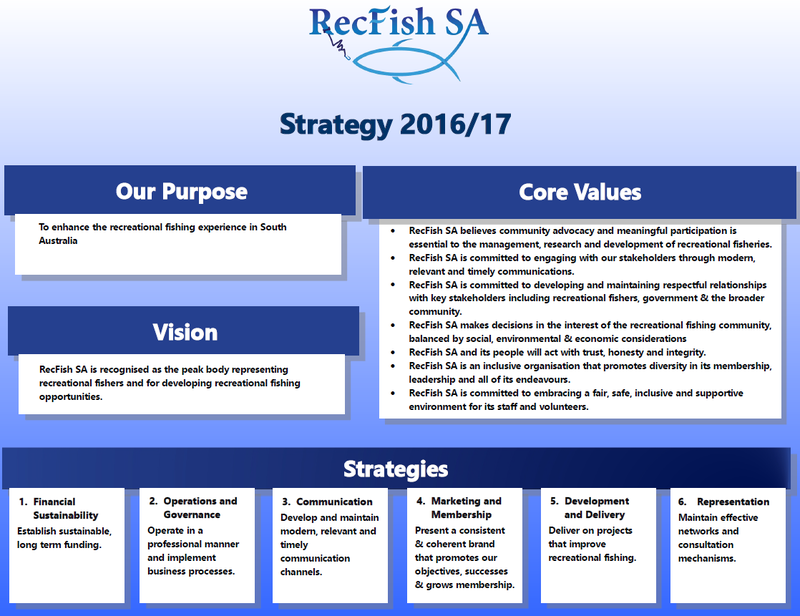 The RecFish SA Board/ Sub-committee periodically reviews its governance systems with the aim of ensuring that RecFish SA continues its commitment to good governance principles.